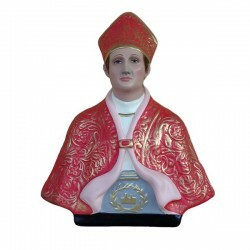 Statue of Saint Januarius half chest of 35 cm. Saint Januarius, martyr and bishop, is commemorated on the 19th of September. He was born in 272 in Joppolo, he died in 305 in Pozzuoli. Januarius, bishop of Benevento, was beheaded in Pozzuoli under Diocleziano. He is one of the many martyrs who were killed by this emperor, who was too hostile against the Christians. He was buried in Naples and so he became the saint patrono of the town. The “miracle” of the liquefaction of his blood is a phenomenon which lasts from many centuries. 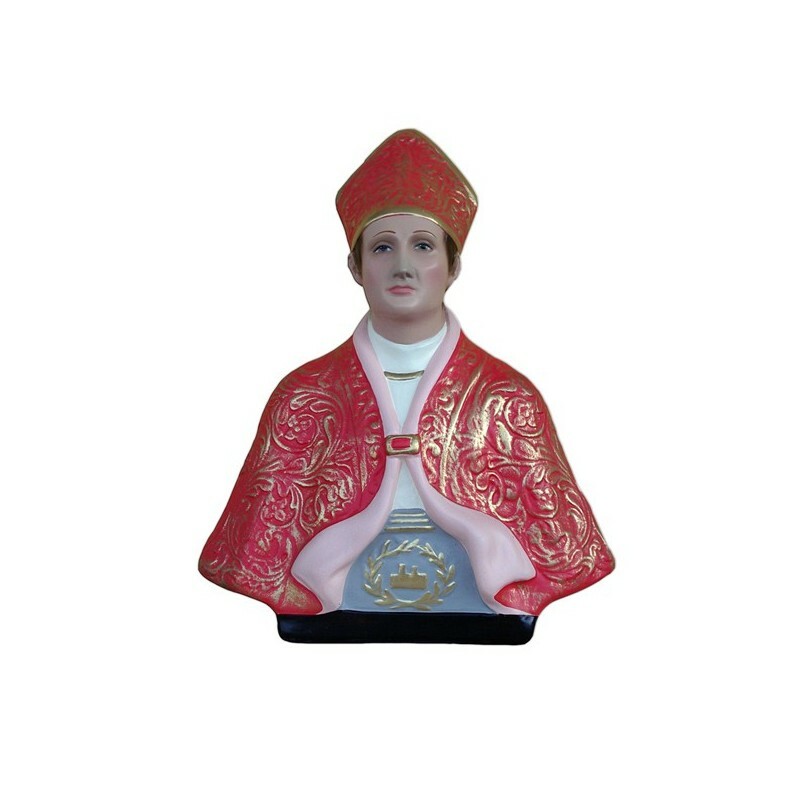 In Naples he is venerated for every indulgence. He is illustrated as a young man, with episcopal clothes, with a crosier and two ampoules.